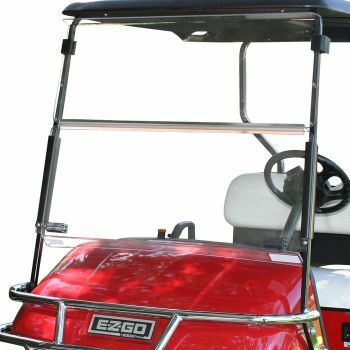 Deciding on the right top for your EZGO TXT or RXV golf cart starts with Bestop. Bestop is the industry leader for truck tops and now that same quality is available for your golf cart. The 116" golf cart top boasts UV and water resistant Sunbrella® material for long-lasting durability. Another great benefit is its ability to be easily removed for seasonal maintenance and cleaning. If you are looking for color options, this top comes in 4 great colors: charcoal, toast, black and black diamond. When it comes to providing a more comfortable ride for you and your passengers.